Valvan is present at IFAT 2018 Munich. Come visit us! IFAT is the leading trade fair for the processing and treatment of waste streams, ranging from (sewage) water or solid waste fractions to renewable raw materials. The fair will take place from 14 to 18 May in Munich. 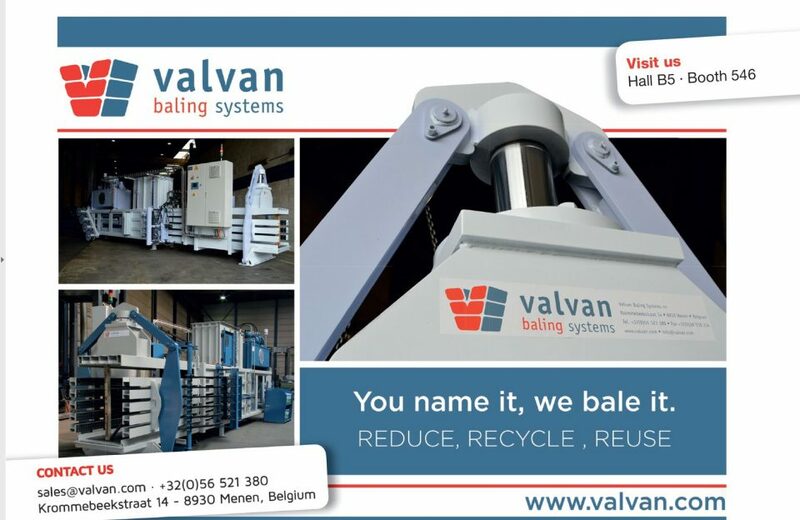 Valvan Baling Systems, Cretes and Rentec are present from the Valtech Group. Conrad Verplancke will be happy to receive you in Hall B5, booth 546!